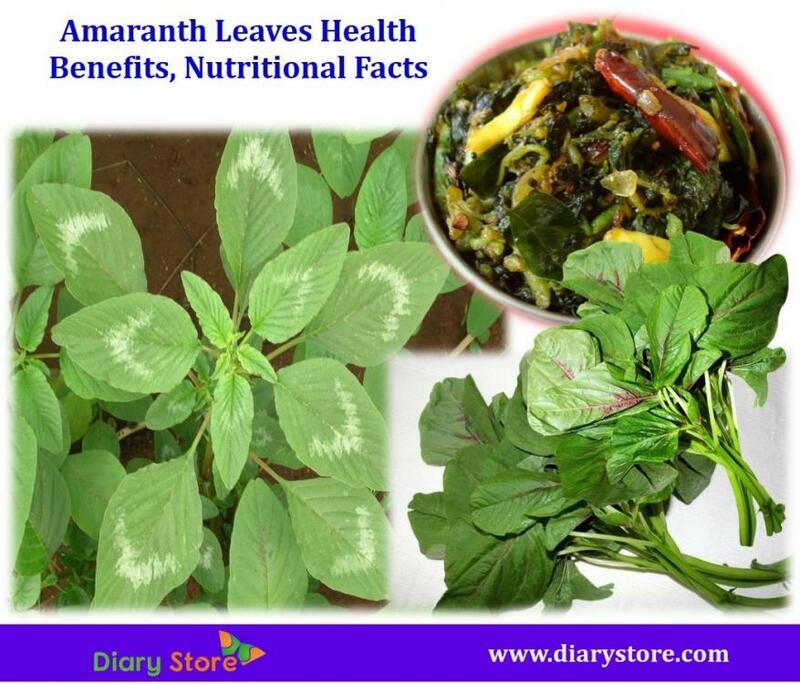 Amaranth leaves belong to the Amaranthaceae family and its scientific name is Amaranthus. Amaranth plant can grow up to 7 feet tall and their leaves can be round shaped and measuring between 5 to 15 cm. Amaranth has some varieties in the genus that are cultivated as leafy vegetables and types of cereal grain. Both Amaranth leaves and seeds are valuable for human health. Leaf vegetable, grain flour or a cereal grain has different health benefits. Amaranthus leaves have been cultivated in India, Mexico and Argentina, for over 8000 years now. Both the seeds and leaves are used in traditional medicine. Amaranthus leaves give health benefits and it is a good home remedy for hair loss and premature greying. Amaranthus leaves contain a high level of calcium which helps boosting bone strength and preventing osteoporosis. Calcium is the most important mineral for preventing demineralization of the bones. Amaranth leaves are loaded with high fiber content and they are a source of amino acids which help to improve digestive health and reduce constipation. Amaranthus leaves contain Folate which is important for pregnant women. Deficiency of folate causes neural tube defects in new borns. So, consumption of Amaranth leaves by pregnant women is advised to protect your new born baby. Vitamins, minerals, proteins and other nutrients are present in the Amaranth leaves which help to reduce insulin levels in the blood and also releases a hormone that lessen hunger pangs. Amaranthus leaves are rich source of phytosterols that help to reduce blood pressure. 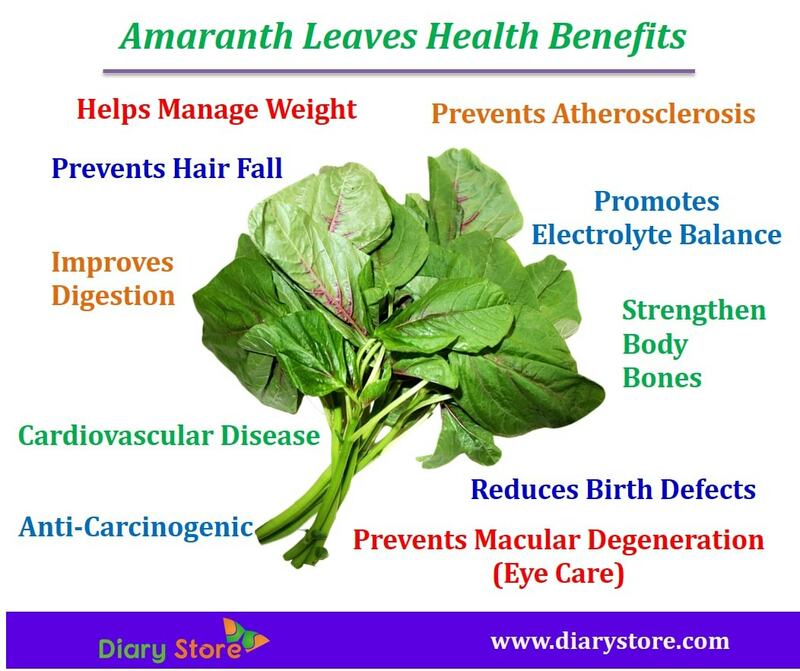 Fiber present in the Amaranth leaves helps to reduce bad cholesterol and the risk of heart diseases. Iron, copper, calcium, potassium, phosphorus and magnesium present in the Amaranth leaves help to maintain necessary balance of electrolytes in human body. Amaranthus leaves are loaded with potassium and phytosterols which help to lower blood pressure and reduce the strain on the cardiovascular system, thereby lowering the chances of developing atherosclerosis. 4. Which Are The Vegetables Good To Eat Cooked or Raw? Amaranth leaves have vitamin A which helps to prevent macular degeneration and stop the development of cataracts and keep vision healthy. Amaranth leaves contain an amino acid called lysine and minerals like potassium, phosphorous, magnesium and iron and vitamins C and E which help to prevent free radicals that cause aging and lead to the formation of cancerous cells. The juice of Amaranth leaves has many benefits for hair, skin and body. Applying the Amaranth juice to hair helps prevent hair fall. If you are suffering from kidney stones or gallstones, amaranth could worse these conditions because amaranth leaves contain moderate levels of oxalates. Consult a medical professional before adding amaranth into your diet.